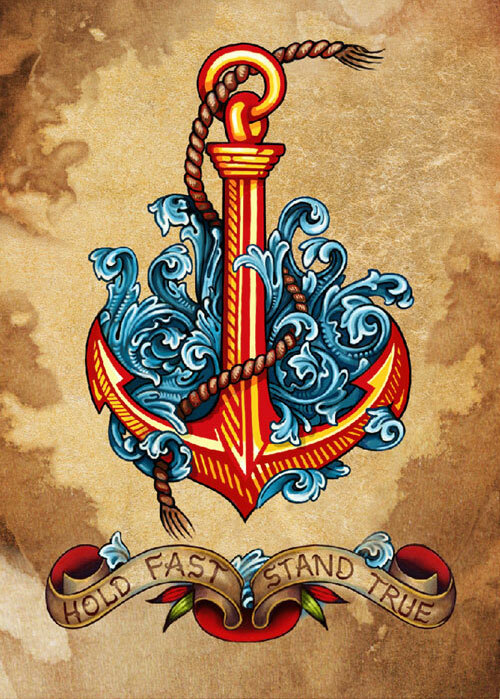 The sailor's tattoo legacy is huge and it is tied deeply to strong beliefs created by the difficult relationship with the sailor the sea and the ship. No place for a wavering heart. To ask the sea permission to sail is to truly become the sorcerer's apprentice and at some point the storm will come. Strong truths are what bring the human spirit back time and time again to nautical lore. Bless my life with the courage to hold fast and stand true on a pitching deck.